ULSTER BANK is to keep about 80 of its branches open late this evening to facilitate customers who have been unable to access funds due to an ongoing technical problem. The bank has been struck by a significant technical problem with its payments system which has meant delays of over 24 hours in the processing of lodgments to customers’ accounts. While the bank says ATM withdrawals and internet banking services should still be available, customers’ balances will not show records of any cash lodged to their accounts since Wednesday. The ongoing problems means many customers whose social welfare payments are lodged directly into their accounts, and others whose salaries should have been lodged in the last two days, might not be able to access such funds. Yesterday marked the fortnightly payday for public service workers – with a significant number of the 285,000-or-so people on the public payroll likely to experience delays with their pay appearing in their accounts. The bank said last night that any payments which were due to arrive in accounts by Tuesday should now have been processed, and that it was working through the backlog of payments since then. It added that any customer who was due to receive a salary or welfare payment into their account since Wednesday, and who needs access to that money, should bring details of the payment – and some ID – to their local branch where they could be assisted. A list of the branches opening late this evening can be found here, while a list of the bank’s Saturday branches can be found here. 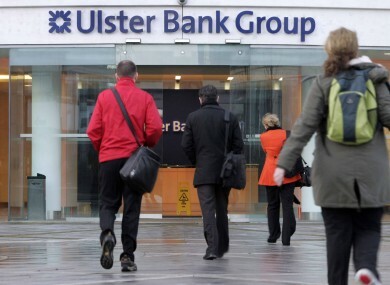 Ulster Bank apologised “unreservedly” for the continuing difficulties, and said it was working “to resolve this issue and to minimise the impact”. “We will ensure that those who are affected do not suffer any financial loss,” it said, saying any customers who experienced any extra charges or loss of interest during the difficulties would be refunded fully if they contacted the bank with their details. Email “Ulster Bank branches to open late while technical problems continue”. Feedback on “Ulster Bank branches to open late while technical problems continue”.